There comes a time (in between haircuts, after a period of heavy heat usage or when the weather is a bit grim, aka now) that hair needs an extra helping hand. You can apply all the hair masks you want and while they will make a difference, for real results, what you really need is a daily treatment that will remedy that dry, dull look in an instant. And it's for these cases that we'd recommend leave-in conditioners. Yes, they sound pretty old-school, but just like your moisturiser does for your face, the best leave-in conditioners will supply hair with a continuous stream of hydration that will keep it looking glossy and bouncy all day long. And nowadays, as haircare goes high tech, they all contain a long list of the most potent haircare ingredients that are proven to make a difference. Below you'll find we've cherry-picked the very best formulas for a spectrum of different hair needs and concerns to help you work out exactly which one is for you. 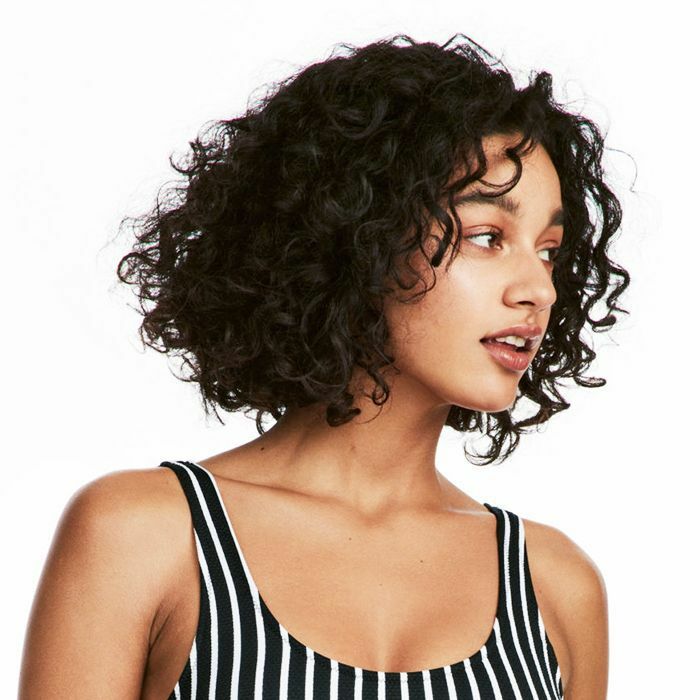 Curly hair is prone to dryness, as the coiled structure of the hair fibre inhibits the distribution of natural oils from the scalp down to the lengths, making leave-in conditioner all the more important. 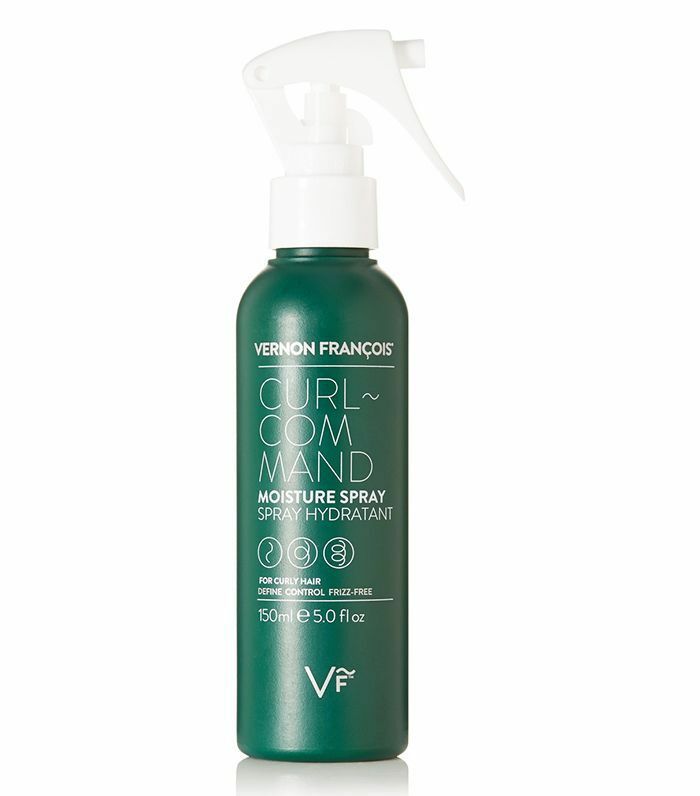 The key ingredient in this mist by Vernon François is baobab extract, which is known for its strengthening properties, and panthenol, which has the ability to smooth over the hair cuticle to reduce frizz without interfering with the curl. Dry, fine hair throws up an especially tricky case: The addition of products can make the lengths look less dull and frazzled, but they also have the tendency to weigh hair down, making it look limp and a bit sorry for itself. The answer here is to look for something extra watery, like this mist from Philip B. It plies hair with chamomile, comfrey, rosemary and orange peel extracts that lend shine and moisture without adding even an ounce of extra weight. Thick hair can take the weight, so this is where more balmy, creamy formulas come into their own. 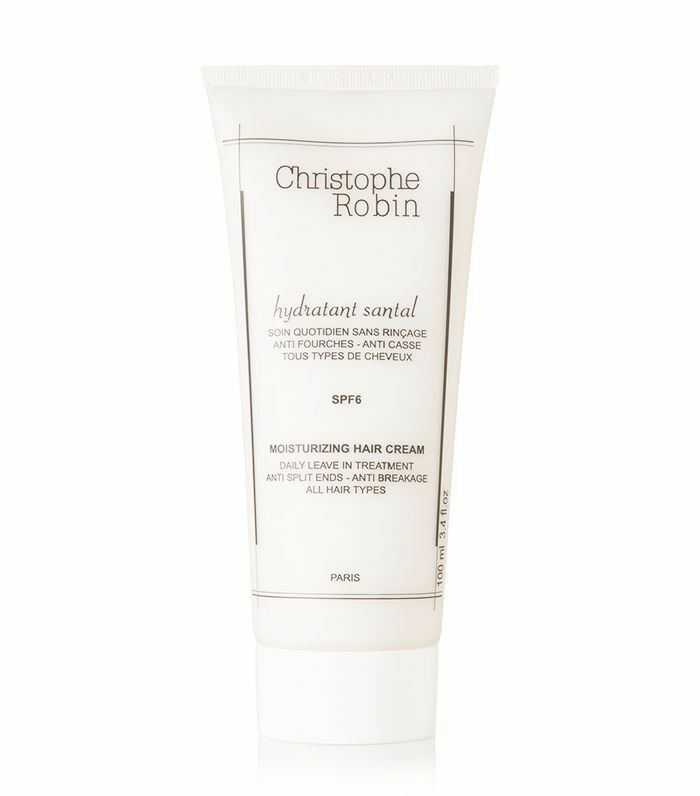 Christophe Robin's feels as rich as regular conditioner does, but we swear that you won't feel a thing once it dries down—well, besides nourished, soft hair of course. And straightening and curling, for that matter. It may contain six nourishing oils, but this mist is far from grease-producing. Instead, it scaffolds the hair fibres, drenching them in hydration but also acting as a sort of suit of armour against whatever heat you put it through. It's your best defence and offence. As the structure of hair becomes weaker due to damage, tangles can become all the more prevalent, but a leave-in conditioner will lay a buffer between individual hairs, making it easier to comb them out, without the headache. 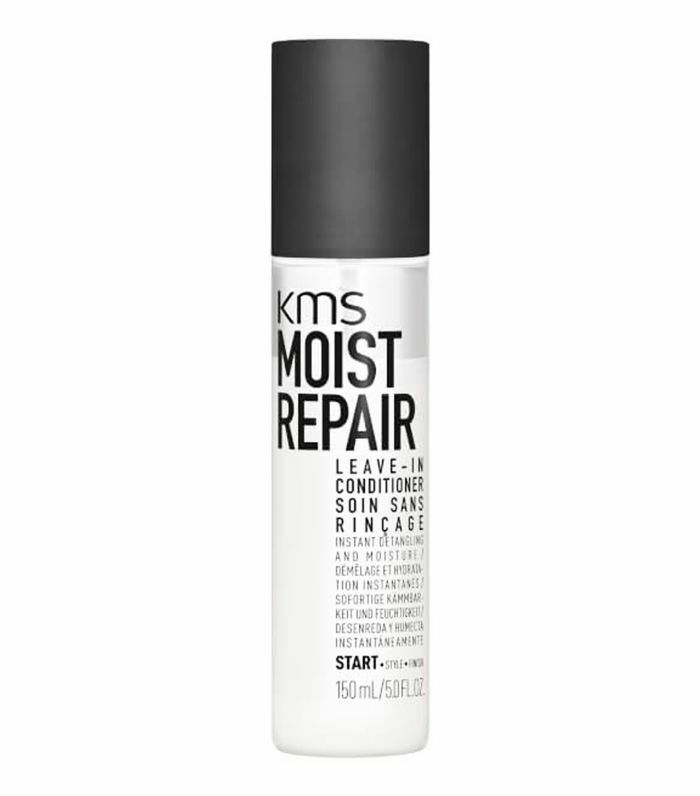 As well as doing this, KMS's mist reconstructs the hair shaft from the inside out, thanks to a mixture of lactic and malic acids. 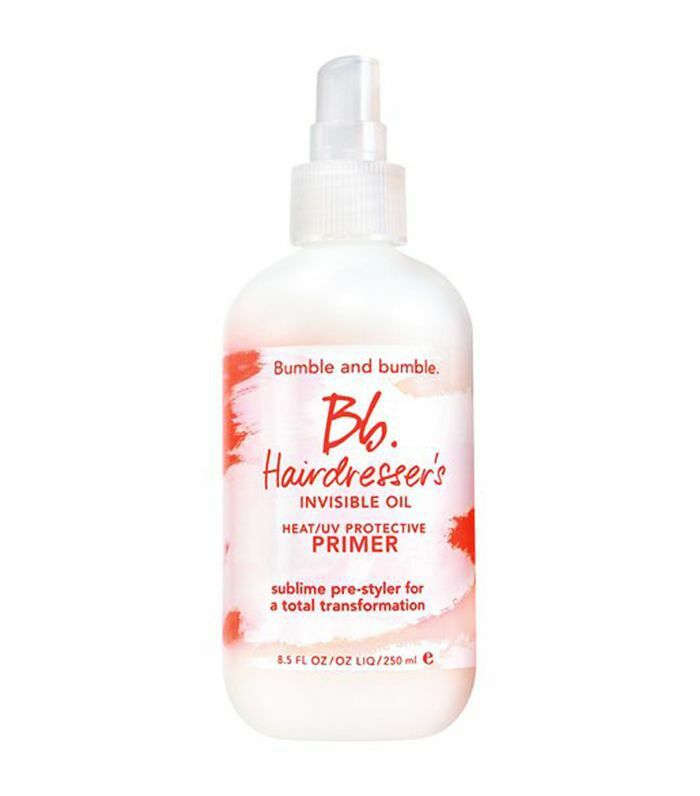 With the texture of a watery serum, this leave-in conditioner plies hair with a potent concoction of pea peptides and amino acids that plump up the look of hair. It's brilliant if you're just looking for a little tszuj to your hair. A weightier leave-in conditioner will help add bands of mirror shine to straight hair, as well as tidying away all flyaways. 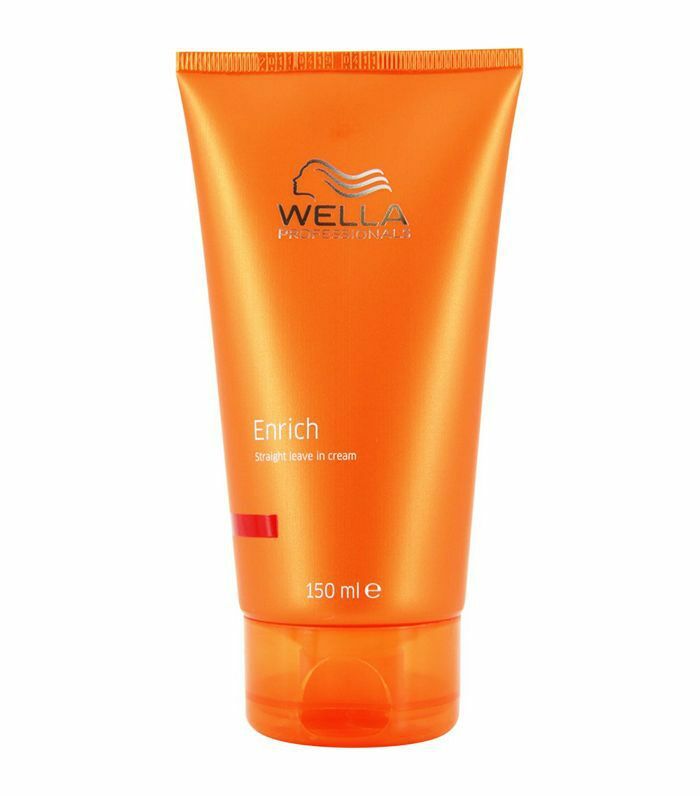 Apply to damp hair and the shea butter inside Wella's formulas acts like a rich lotion for hair.